Forget all this stuff about the Vales being like the south of France. 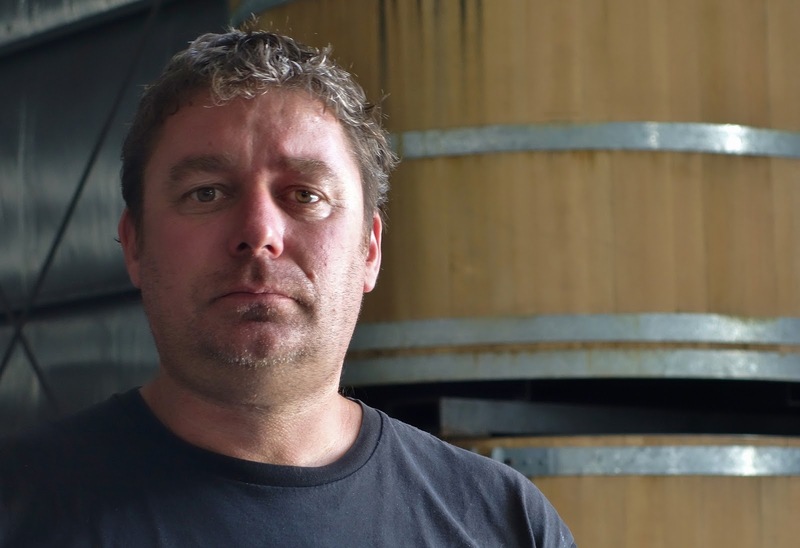 Two local hotshots are going Bordeaux, one via Clare; one via Coonawarra. Steve Pannell winning his fourth Bushing throne was one thing. In his astonishing career, he's won lots of things. Great awards well made. From bargain Nottage Hills to a spectacular Jimmy Watson-winning Eileen Hardy (first of two Jims), Pannell hasn't made much bad wine. Winning the Bushing for best wine in the McLaren Vale district with a Clare blend is another thing. 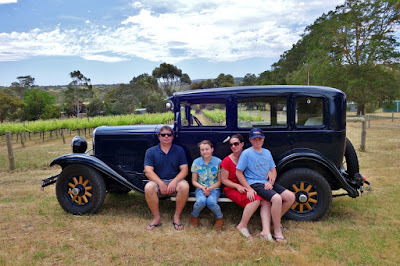 Like it's not Clare at all of course, other than through that secret sinew that runs from A. P. Birks' Wendouree Cellars in Clare, into Pannell's vinous heart. 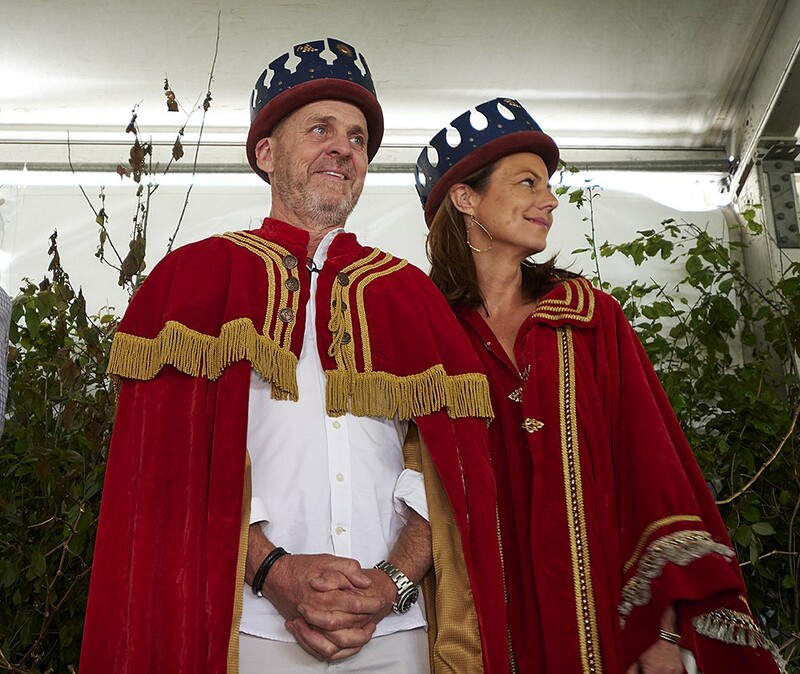 In my book, Wendouree's the international high temple of that Cabernet Malbec blend, which is actually along the lines of the reds the old timers pinched from Bordeaux. 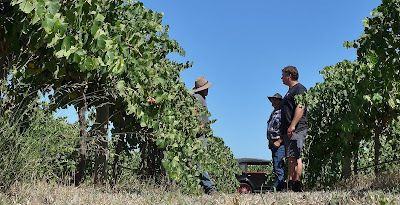 Where the Wendouree version is often tight with Zen rigour behind its delightful fragrance, staying warrior-slim, aloof and austere for decades, the same varieties grown in the constant maritime humidity of the Vales are immediately a bit more hairy. Velvet is the better word. From first slurp, the S. C. Pannell McLaren Vale Cabernet Malbec 2016 (14% alcohol; screw cap) is a plush velvet glove more than a shiny steel gauntlet. It has plenty of rigour and steely resolve, of course, at least as much poke, but delivers this with a lot more of a smooch and a grin. It's more generous, and its unfolding is more immediate. Its tannins are louder. Now, after a whole night's air, it's more forthright in its comforting pudge. It has let wafts of shellacky laquer and Marveer ooze out to match the initial violet and rosewood florals, adding a certain oriental parlour allure to this McLaren Vale version of a distinctive style of red made after an old Bordelaide model in Clare, South Mount Lofty Ranges, Australia. If you're quick, you can procure three bottles of this gorgeousness along with the previous Bushing monarch, the S. C. Pannell Touriga Cabernet Mataro 2015, in a six-pack for $300. 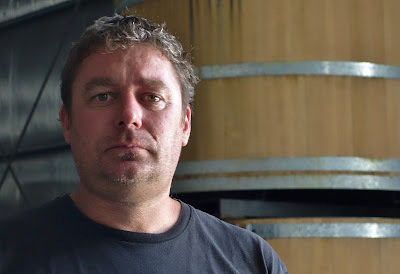 Like Pannell, Tim Geddes (above) is another of those enlightened winemakers who pushes McLaren Vale's capacity to make the types of maritime blends you'd find along the north-west Mediterranean coast of France and Spain, but is just as likely to pull a Bordeaux rabbit from the same damn hat. He's just done this with his Geddes Seldom Inn McLaren Vale Petit Verdot 2017 ($25; 14.5% alcohol; screw cap). 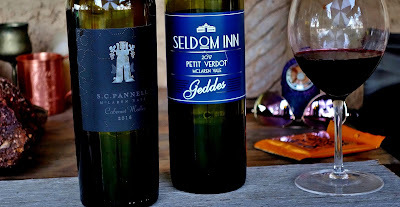 Petit verdot ("little green", like the Joni Mitchell song) is a late-ripening red which became very scarce in Bordeaux as the early-ripening mellow Merlot rose to favour. Now the whole joint's so much hotter there's pressure there to reverse the trend. Tim has form with this variety: when he worked with Wayne Thomas they won their first Bushing Crown with an absolute cracker in 2004. That was grown on pre-Cambrian Kurrajong rubble on the Willunga piedmont; this new baby's from Darrell Hunt's sandy red stuff on the young calcrete and limestone at Maslin Beach. The profile there is freakishly like Coonawarra in some spots. Nothing green about this red, however. In a freaky way, its form is about halfway between those Wendouree and Pannell wines: it has the lacquer and the rose petals but in a more martial form than the Pannell. Some prune, dried fig, cruched blackcurrant leaves and skins coming from a cassis destemmer ... then less of the Pannell wine's fur and a whipsnake more of Wendouree's steely acid rigour. One on the table right away; six in the dungeon for a few years' growth. Frigging remarkable. I would love to know of other folks' reaction to these wines. The Geddes is not at all spendy for its class, so that's not trouble. Get some mates and share that six-pack from Pannell before they're all gone. Compare. Drop me a line. 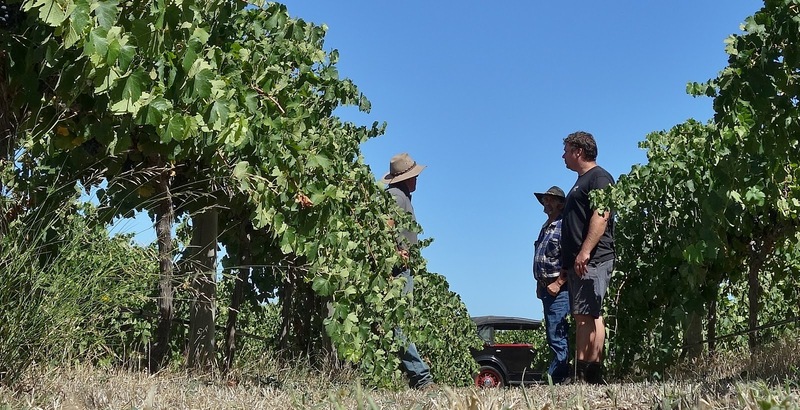 It'll take your mind off the vagaries of the Grenache results at this year's Bushing Show. Last year, they wanted everybody to make their Grenache like Pinot. This year, they seem to think it should be like cheap Californian Merlot. Keep your eyes on the horizon and your boots on your feet.